When my husband, Buck, asked if he could write a guest post about beer, I had no idea what to expect. But knowing him, I figured it would be funny and informative. Boy, is it ever. The opinions below are completely his own. This post was not sponsored in any way, shape, or form. Enjoy! "Torn Between Two Livers...Uh, Lovers"
There are precious few things in life that a man is truly loyal towards…his wife, his barber, his football team, his wife, his country, his wife, and his favorite brand of beer. Let’s face it, guys, at our core we all stand ready to try any new adventures that might come along at the drop of a hat. We justify our hardwired infidelity by continually referencing our unshakeable loyalty to those things we hold sacred. Honestly, do you know how many times I’ve pointed to my unflinching loyalty to the Oakland Raiders as a shining example of just what a faithful and reliable soul I really am? Who’s going to question a guy who has remained committed to da Raiders for the past 10 years?? Actually, loyalty lies at the center of my chosen profession. I’m a lifelong member of the advertising community, and at our root, most of what we do in advertising is either attempting to create new loyalty to a brand, or break an existing relationship and seduce you away. We’re not much better than the succubus at the end of the bar trying to get you to forget that ring around your finger, whispering seductive promises that it can all be yours…but only if you use our brand of razors, eat our chips, etc. I cheated on my beer. No, it wasn’t just a one-night stand that could be attributed to a crappy beer menu that didn’t offer my favorite brew… we’ve all been there before, and that’s an easy one to justify. “But honey, I totally would have had you, but you weren’t on the menu… c’mon, I still love you! Now come over here and give me a swig!” No, this, my friends, has blossomed into a full-fledged, torrid affair of the heart (and liver) that has caused me to leave behind everything I once held dear. I look in the mirror, and I don’t recognize the face I see before me: The face of a Lickinghole lover. The farm and brew house at LCCB. Photo Courtesy of Lickinghole Creek Craft Brewery. Yes, there, I said it! I LOVE LICKINGHOLE!! And I am not afraid to shout it from the roof tops, no matter how many strange looks I might receive or how many people shout back, “pervert!” or “You’ll rot in Hell for that!” I don’t care, because dare I say it? I covet it. It wasn’t always that way. I used to belong to another, and we were happy together for many years. Yes, there was a time when Hardywood Park and I shared unbridled passion. I swore that I would be forever true to Hardywood. I waited in lines for hours, surrounded by bearded hipsters in skinny jeans. Sure, I might not be exactly the kind of young and virile consumer that Hardywood seemed to attract, but dang it, I loved them and that love and devotion had to count for something! Even if I wasn’t their ideal demographic, I would MAKE them love me… I would SHOW them that a middle-aged dad from the ‘burbs could be cool too! I would spend copious amounts of money on their specialty beers, and in the end, I would make them realize that I was the one they really wanted, despite my seemingly genetic inability to grow a proper beard. But then, one night, I was lamenting the lack of Hardywood beer in my fridge and feeling especially low, resorting to the comforting and familiar embrace of a former flame – Legend. I was approached by the bartender and offered something that would change my life. Of all the beer pubs in all the world, they had to be offering this new concoction with a utterly ridiculous name in mine… Lickinghole! What kind of name is that?! I couldn’t even imagine being even mildly attracted to her. I mean, c’mon: “Hey Joe, can I have another Lickinghole?” “Honey, I’m out of Lickinghole… I need to get s’more!” Ridiculous… my devotion lay with a beer with a strong and noble name: Hardywood. My God, if that doesn’t sound like something a real MAN would drink, I don’t know what does… heck, I’m sure the makers of Viagra and Cialis wished they’d thought of it! HARDYWOOD… not Lickinghole. But then, in a moment of weakness, I let my lips go where my ears were unwilling and like Bobby Brady seeing the fireworks in that episode where he gets his first kiss (or was it Peter? ), lightning struck and my world was turned inexorably on its head. It started innocently enough…I would still buy Hardywood, but it was no longer exclusive. I would buy three bottles of Hardywood for every one Lickinghole, using my larger investment as proof (PROOF!) of my continuing fidelity. But then, as I sat at my desk at 3:00 p.m. on a Friday, dreaming about the decadence that was only a couple short hours away, I began to realize that I wasn’t salivating in anticipation of a delicious, frosty Hardywood. No, I was dreaming of Lickinghole! Gasp! Get behind me, you cruel harpy of a beer! But the damage was done… and the seal was permanently broken. Lickinghole was no longer just an occasional mistress, stealing broken sips in the shadows, unwilling to reveal our love in the light, subject to the judgment of others. No, I had to finally admit that my heart belonged to the Hole and that despite what others might say – how they might snicker and laugh whenever I ordered her – I was in love and I didn’t care who knew it. It is cleansing to finally tell my tale – therapeutic, in fact. In the months that have followed my admission, so much has changed. My beer fridge is now stocked almost exclusively with three or four different varieties of Lickinghole. I still have three bottles of Hardywood’s Bourbon Cru that I’m holding onto for old time’s sake, but that’s just because it’s out of production until next Spring, and frankly, sometimes it’s nice to take a drink down memory lane. Lickinghole doesn’t mind – she knows that while I may wax nostalgic from time-to-time and perhaps even have a dance or two with Hardywood on occasion, I’ll always come back. My only real fear… what if one day my new love and old flame finally meet? Would they fight over my affection, hissing and scratching at one another? Would they be civil? Would it be awkward? What if… what if they were ever to combine their forces?! Would I feel like some kind of polygamist? Would some kind of unholy union be hatched? And would I have the fortitude to actually ask for either a Lickingwood or a Hardyhole beer?! My liver shudders at the thought. The Rosemary Saison. Photo courtesy of Lickinghole Creek Craft Brewery. Singel – Their most popular and widely distributed beer, this 6.2% ABV Belgian Abbey style Blond is Hardywood’s flagship. It’s also one of their most drinkable beers under a wide variety of different occasions – not quite as robust as some of their other offerings, I consider it very refreshing, while at the same time having enough flavor – and punch – to make for a very pleasant drinking experience. Gingerbread Stout – A seasonal favorite that has achieved mythical status in and around RVA; the GBS was rated a perfect 100 by BeerAdvocate Magazine in 2012. For many in the Richmond area, this has become the quintessential flavor of the holidays. An imperial milk stout flavored with locally sourced ginger and honey, GBS packs a firm punch (9.2% ABV), but it’s also so heavy that you’re unlikely to drink more than one in a sitting. Bourbon Cru – Just as there’s always one former flame that you never forget, I will always carry a torch for this beauty of a beer. But like a lot of beautiful ladies, you need to keep your wits about you or she’ll leave you in a world of hurt. At 12% ABV, this is no amateur’s undertaking. An Abbey-style Quad seasoned in Virginia bourbon barrels, this complex, caramel-flavored concoction is the perfect love child of a great foundational brew coupled with the bold remnants of its bourbon prison. The vanguard of Hardywood’s “Barrel Series,” the release of Bourbon Cru is as beautiful an aspect of Spring as the first flowers or returning song birds. 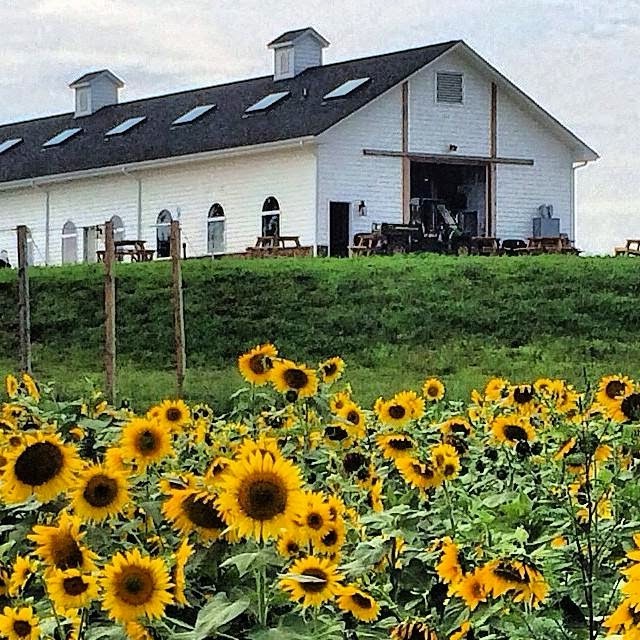 When you visit the gorgeous farm that’s the birthplace of Lickinghole Creek’s beer, you can’t help but wonder if they work some of that bucolic beauty into every one of their creations. Considering how many of the ingredients come from the farm itself, there may be a lot of truth to that notion. 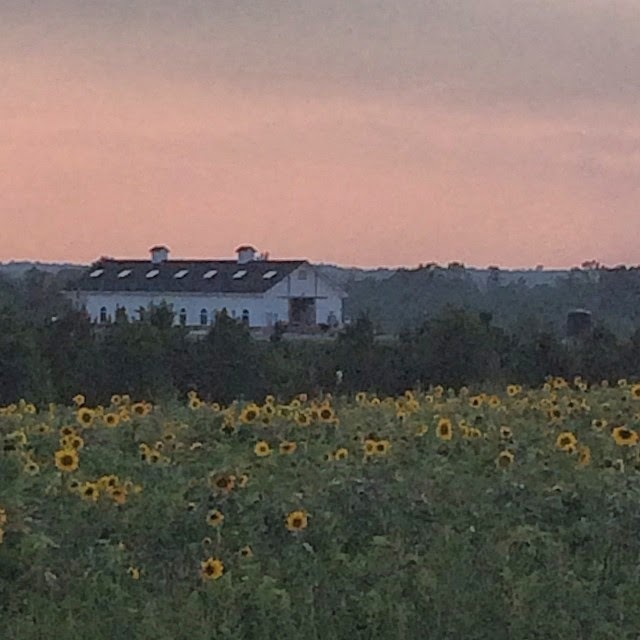 Located on 260 acres in rural Goochland County, Virginia, the Lickinghole brewery is the ideal location to enjoy a pint while soaking up the wonders of a Virginia summer sunset. The owners, Lisa and Sean-Thomas Pumphrey, pride themselves on growing the hops and other essential ingredients on the property, as well as drawing much of the water they use from the breweries namesake – the Lickinghole Creek that bisects the property. In less than two years, they’ve built up an impressive catalogue of beers and a very loyal following. Here are a few of their better known offerings – but again, consider yourself forewarned; at 9+% ABV, several of these pack a real punch! Three Chopt Tripel – This is one HECK of a great beer… and that is not only evidenced by the amount of it that I constantly keep in supply, but also by the fact that Lickinghole uses it as the basis for an ever-expanding array of specialty beers like their Bourbon Barrel Three Chopt (recently ranked as the #7 most popular tripel in the world by BeerAdvocate, along with a stellar rating of 95) and the forthcoming La Calavera Catrina Tequila barrel aged tripel with lime zest (I can hardly wait to try it!). This is just an outstanding everyday beer that you can enjoy with a great meal, yet refreshing enough to pop open after an afternoon sweating in the yard. Full bodied and extremely flavorful, if you like Belgians, then you’ll love this baby. 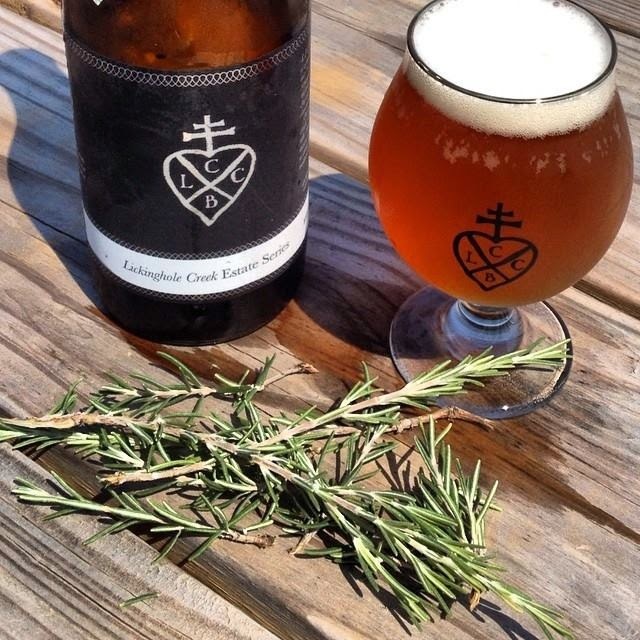 Rosemary Saison – Lickinghole’s Rosemary Saison was just recently thrust into the spotlight thanks to praise and accolades that it received coming out of this year’s Great American Beer Festival. In fact, NJ.com went so far as to declare it “the best beer at the GABF,” which is no small compliment. It’s also one of Lickinghole’s newest offerings, so it’s making a nice splash right out of the gates (it also happens to be my wife’s favorite, so it’s got that going for it as well). A 6.8% dry and hoppy farmhouse ale, combined with rosemary grown right on the farm, this beer is everything a saison is supposed to be…but like many other Lickinghole offerings, this lovely was only bottled on a very limited basis (2,500 bottles), so get it quick or suffer the waiting game that so many Lickinghole aficionados have become all too familiar with. Batchelors Delight – I am 99% certain that this is the BEST beer I have ever tasted in my life. And I say that with a VERY heavy heart knowing that it’s completely sold out and unavailable until 2015… oh, the humanity!! A Nicaraguan Rum barrel aged Belgian Quad sporting a hearty 12% ABV, this gem gets its unique (and no, that’s not a misspelling) name from “one of the most notorious and important pirate ships in history.” This beer is so good, that like the pirates its named in honor of, there are an unlimited number of despicable and treacherous acts that I would be willing to commit in order to get my hands on more of it… but luckily all I have to do is remain patient until it’s released again. Gives me time to set aside a special fund so that once it is available again, I can buy it by the truck load! *GG: Plus they have a playground for the kids. I mean, come on. I love that you had your hubby guest post! And about beer! This makes me want beer now, though, thanks. I could no more stop his shouting his love for Lickinghole from the rooftops than I could stop the tide. Telling friends and family wasn't enough - he had to take his love to the interwebs. You'd love their Rosemary Saison. SO good. As an Englishman who lives 4 miles from Lickinghole, I was lost a long time ago -- however I have to challenge your favourite list -- not currently on tap (but brewing nicely) is their Four Pillars -- an IPA that I can truly walk up to and ask for a "pint of bitter please". Thank you for the comment, VIMLR007 - I don't know which I am more jealous of: the fact that you have a suave British accent or your incredible choice in real estate?! I am not normally a huge fan of IPA's, but I am always game to try something new, especially when it comes with a strong recommendation. I will certainly raise a pint of "bitter" next time I'm out there. But I can certainly tell you that I am VERY excited to try their upcoming 12th Night release (that sounds like just the thing to keep me jolly through the holidays), and I am still eager to get my hands on a bottle of La Calavera Catrina, as that also sounds like my kind of fiesta! Anyway, thank you very much for reading my drivel and contributing to the comments... cheers! !